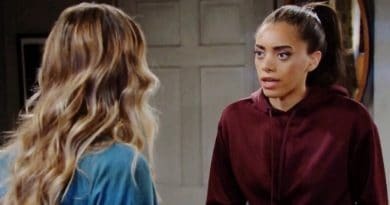 Bold and the Beautiful spoilers say Flo Fulton has a wonky moment as she and Shauna Fulton imagine telling the baby truth to Hope Logan. 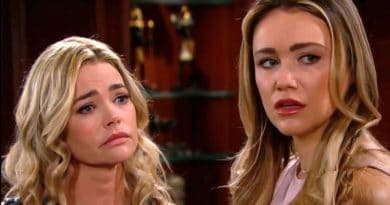 Bold and the Beautiful spoilers show that Flo Fulton begs her mother Shauna Fulton to go along with her baby lie and keep her secret. 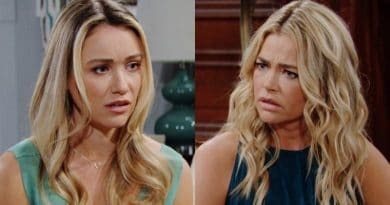 Bold and the Beautiful spoilers say the Logan embrace Flo Fulton before the digital ink is dry on her DNA test matching her as Storm Logan’s kid. 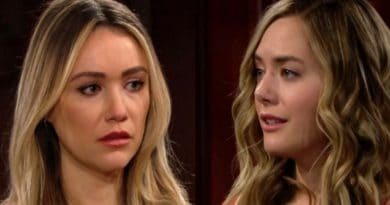 Bold and the Beautiful spoilers for the next two weeks show Shauna Fulton learns about her daughter Flo Fulton’s alleged pregnancy. 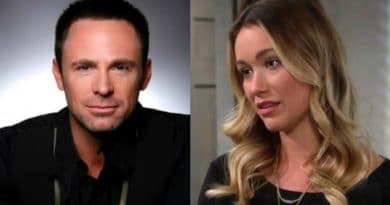 Bold and the Beautiful spoilers hint there’s room for Flo Fulton to be Bill Spencer’s kid if a new paternity twist crops up and Wyatt Spencer’s past is questioned. 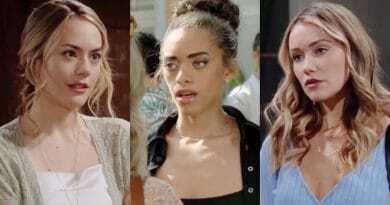 Bold and the Beautiful spoilers promise Monday shockers as Flo Fulton’s dad is revealed as Bill Spencer then Wyatt Spencer kisses her again! 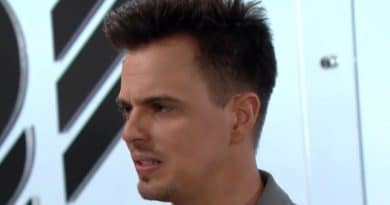 Bold and the Beautiful spoilers show Flo Fulton kisses Wyatt Spencer, even though she knows that he is with Sally Spectra.